Residents of a leafy Aberdeen community claim they are being terrorised by a gang of gulls. Homeowners say there is a “constant” problem with about 15 to 20 “permanent” seabirds setting up home in the Seafield Crescent and Viewfield Avenue areas. They have complained of the noisy birds swooping on people to attack them and causing a “constant racket” in the early hours of the morning. But city council staff are unable to do much to help people living on the affected streets. The local authority website states that environmental health officers have “no statutory duties or powers to take action against gulls”. Only the owner or occupier of a property can take measures to help prevent the large seabirds nesting on buildings. Some of the residents have been forced to install their own measures to deter the feathered pests. And calls have been made for anyone who is feeding the birds in the area to stop giving them food. 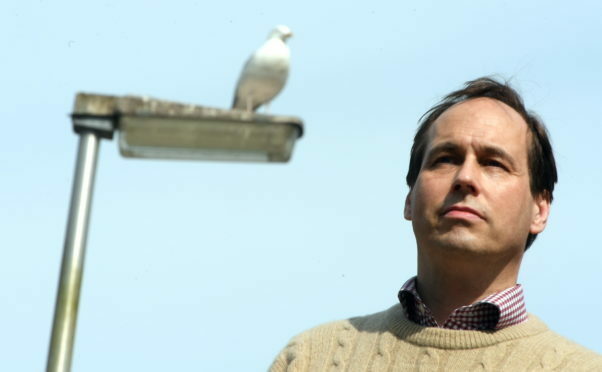 William Sell, the vice chairman and secretary of Craigiebuckler and Seafield Community Council, said his neighbour had even installed a bird of prey ornament in a bid to scare the gulls away. He said: “I have seen the gulls wheeling round and round which is a sure sign someone is feeding them. “To my mind this is doing the birds no good and is actually a reckless action. “But the problem is it is almost impossible to prove. “One of my neighbours has put in an artificial hawk. And Hazlehead, Queens Cross and Countesswells councillor Martin Greig said it was disappointing that people living on the streets were forced into taking action themselves. He said: “Seagulls are wild animals and every effort should be made to stop them turning into urban scavengers. “They should be on the coast living off of natural food sources. “Feeding seagulls is a completely misguided behaviour that causes harm to the animals and brings misery to residents. “The animals quickly get into habits of eating and nesting so they should not be attracted into settled communities by making food available to them. The securing of bins is a crucial part of keeping seagulls away. “It is unacceptable that residents have been forced to go to the expense of installing anti-seagull devices as protection. One angry Viewfield resident, who did not want to be named, said: “This has been a long running issue. “First thing in the morning the noise is just terrible. We have put spikes up on the house but they seem to nest around the block of flats.